Lion on the loose in KwaZulu-Natal - SABC News - Breaking news, special reports, world, business, sport coverage of all South African current events. Africa's news leader. The lion has been on the loose for more than six months. Community members in Gluckstadt are living in fear after a lion mauled a 27-year-old man in Vryheid on northern KwaZulu-Natal. 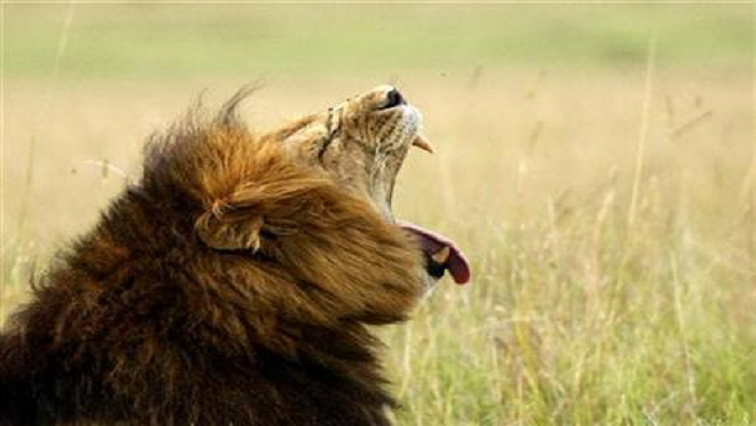 It’s alleged that the lion has been on the loose for more than six months. It has been killing wild buck and cattle belonging to the community in Mawana Game Reserve. The provincial wildlife authorities have no idea where the lion escaped from as the nearby game reserves, uMfolozi and Ithala, say none of their lions is missing. Sabelo Masondo from Gluckstadt escaped from the jaws of the lion late in November. “I was walking on the road. I heard some strange sound. I got shock of my life when I realised it was a lion and it was too late. I tried to run away, but it grabbed me on the knees. I escaped by climbing the fence and threw myself on to the other side as the lion pierced my skin under armpit. My clothes were destroyed including shoes,” says Masondo. Mawana Game Reserve Manager Paul van Deventer says he contacted the Ezemvelo KZN wildlife and has installed cameras around the farm which show the lion helping itself to the animals. “We are trying our best to assist in this situation of this whole topic about the lion on the loose and just to convince everyone it’s not our lion. We have never had lions before. In order to get more information we had a camera trap up and it’s been about four months after we got only one picture. There is a lot of cattle farmers around the area … community farmers and private farmers that lost a lot of cattle. There is this one guy has lost 20 cattle’s at the moment,” says Paul van Deventer. This entry was posted on 06 Dec 2018,07:04PM at 7:04 PM and is filed under Lifestyle. You can follow any responses to this entry through the RSS 2.0 feed. Both comments and pings are currently closed.